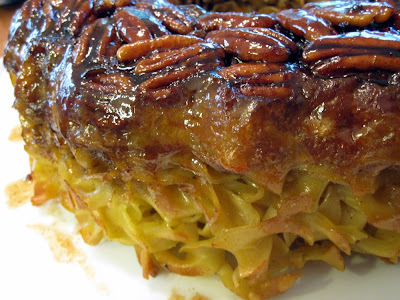 This kugel recipe has become a staple in my family. It is served a couple of times a year and is always requested. It's even included in our family cookbook. 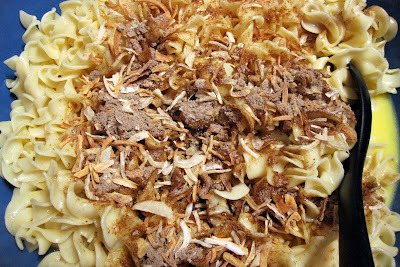 For those still unfamiliar with kugel, it's basically a noodle pudding made like a casserole, and it's a very traditional Jewish dish. For those of you who are not new to kugel, you may have had kugel before, but I'd bet money you have not had a kugel this sweet. It's almost dessert because of the praline-like topping, made from combining pecans with brown sugar and butter. 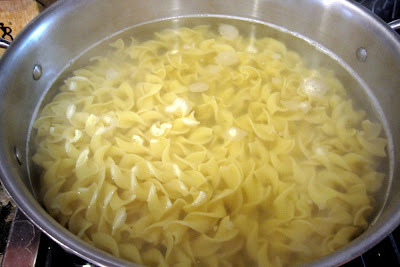 If you want to make this pareve, simply use margarine instead of the butter. Because you place the mixture into a tube or bundt pan, the result is a beautiful ring-shaped kugel that is sure to impress your guests! This is really one of my favorite recipes. It's one of the best kugels on earth, perfect any time of year, so easy to make, and brings back all sorts of happy family memories. The name it was given in Joan Nathan's cookbook says it all: Lick-Your-Fingers Kugel. I don't dare modify that already-perfect moniker, but I will suggest an additional one. So without further ado, I give you: The Kugel That Makes You Go Oooooh. Choose your pan: either a 12-cup mold or a tube pan (angel food cake pan) or even a bundt pan. 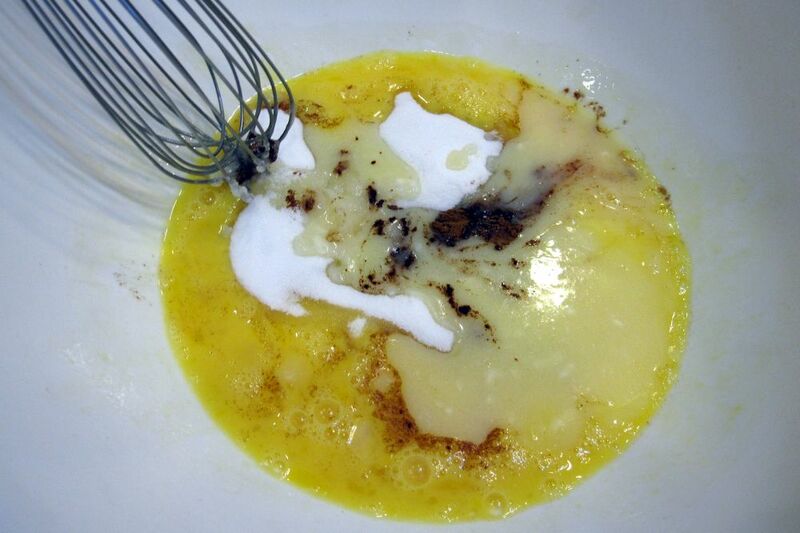 Divide the butter in half and cut into chunks. Place chunks of half the butter or margarine in the bottom of the pan, then place in the oven just until the butter melts. Swirl it around so it coats the bottom of the pan and also tilt the pan so it coats the sides. Sprinkle the brown sugar around the bottom of the pan and press down with the back of a spoon. 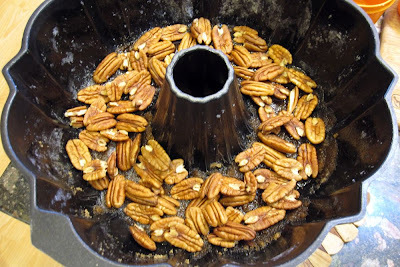 Press the pecans into the brown sugar. Boil the noodles according to the package directions. Drain. In a large bowl, add the eggs. 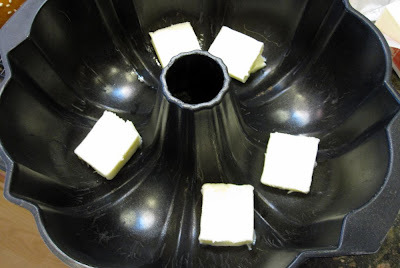 Melt the remaining half of the butter and add that into the bowl. Add the cinnamon, sugar, and salt. 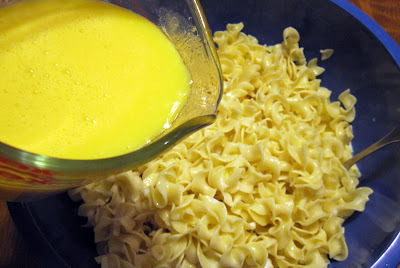 Combine these ingredients well, then add the noodles and stir until they are all coated. Pour the mixture into the baking pan. 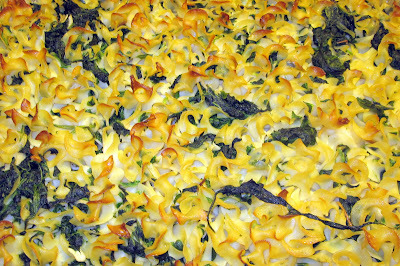 Bake in a preheated oven at 350 degrees F for 1 hour and 15 minutes or until the top of the kugel is golden brown. Remove from the oven and let stand for 15 minutes before inverting onto a serving plate. 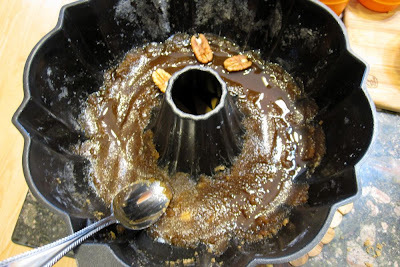 You'll notice after you've inverted the kugel that the top, which has the pecans and brown sugar and butter, become slightly hard just like those delicious praline candies! 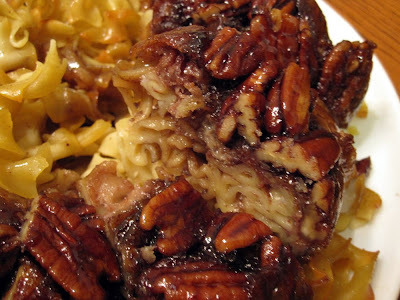 Serve the kugel cold or at room temperature. Yields 10 to 12 servings. Can be made dairy or pareve. Enjoy! 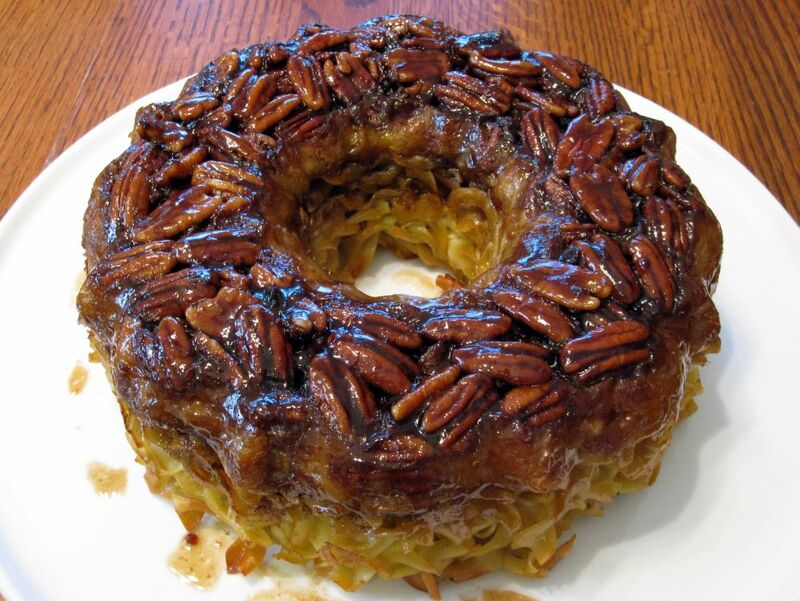 What a kugel! Yummmmmmmy yum yum! This recipe comes from a really neat cookbook my mom and I found at a used bookstore in Mountain View, California. The book is filled with kugel recipes, some printed exactly as they were first hand-written generations ago by some Jewish grandmother from Lithuania (perhaps). Since I let my mom keep the one copy we found at the bookstore, I'm going to have to get myself a copy, too! 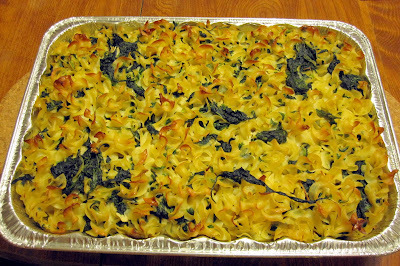 That's because now that I've tasted a recipe out of the book - this Dairy Onion Noodle Kugel - I am sold. 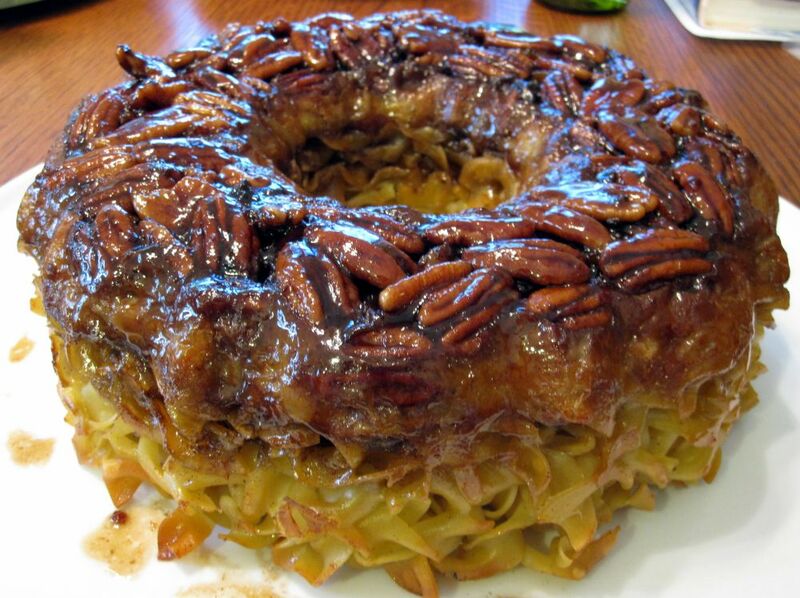 This kugel is that fabulous. 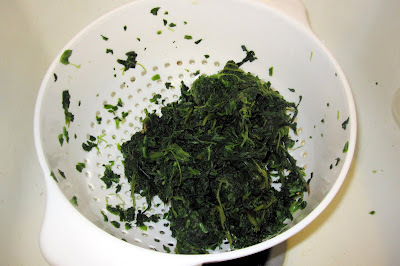 Serve it with a salmon dinner or as the main attraction. 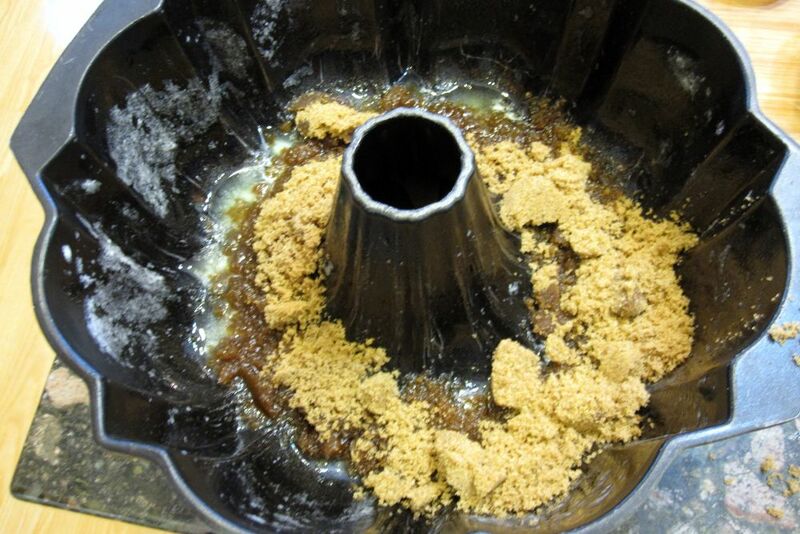 And it yields a large amount, filling a 9x13 casserole dish to the top even after packing it in. One note for all you kugel-clueless people out there: It calls for wide noodles. No, that does not mean you can use fettuccine or lasagna noodles. 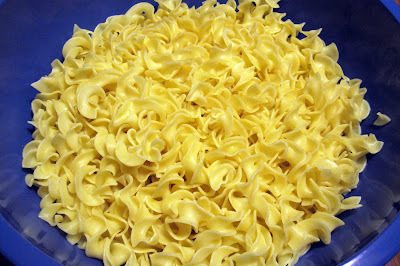 Wide noodles are a specific type of noodle often found in the kosher aisle at your supermarket, often made with egg, though there are yolk-free versions. 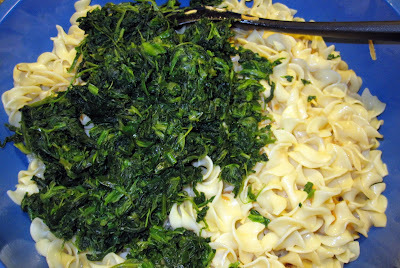 So don't go buying your favorite Italian pasta for this dish. Or fine, do, but then you've taken the little Jewish Lithuanian grandma out of the recipe. 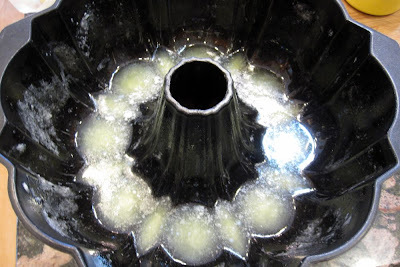 Pour into greased 10" x 10" baking pan (I used a 9 x 13 pan). Sprinkle with breadcrumbs and paprika, and dot with butter. Bake 1 hour. I love kugel. It's a very traditional Ashkenazi Jewish side dish but it comes in so many varieties that it's hard to generalize what it is. 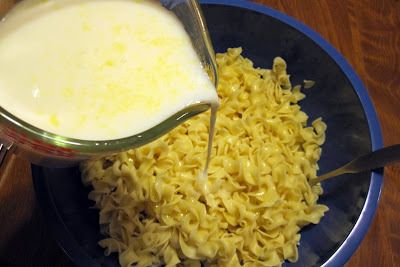 Let me try: a (usually) noodle pudding or casserole, made either dairy or non-dairy. 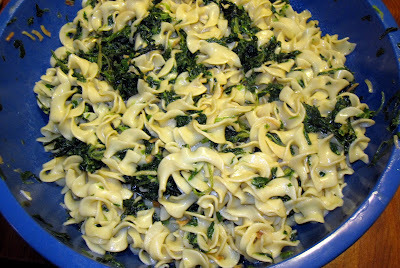 Sometimes, it doesn't have noodles at all, but it's still baked in a casserole dish and is sort of "scoopable." I've had some that are really sweet and can practically pass for dessert, and I've had others that are completely savory. If I'm serving one at dinner, I'll typically serve it warm, but kugel is perfectly acceptable to eat at room temperature. 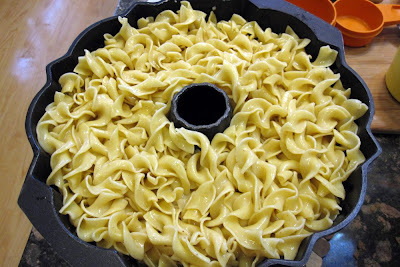 My ancestors used to prepare and eat kugel, even when they lived in Eastern Europe centuries ago, and it's really neat that such a tradition continues today. 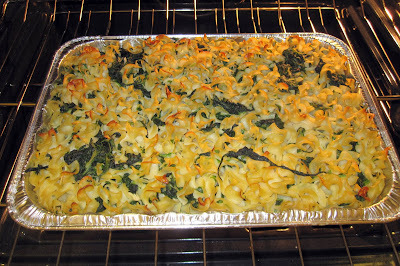 This spinach kugel is a dairy kugel, though it can be made pareve to serve with meat if you swap out the milk with Mocha Mix and the butter with margarine. 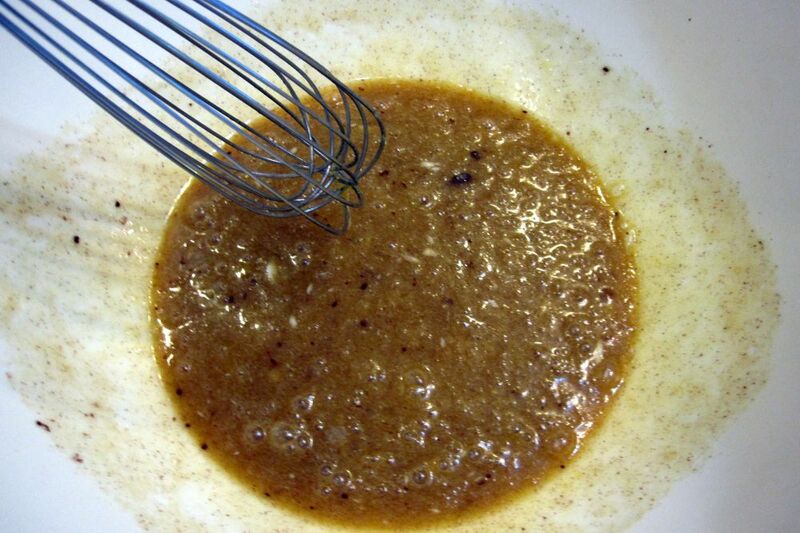 The secret to the flavor is using a packet of onion soup mix (Lipton's makes one). 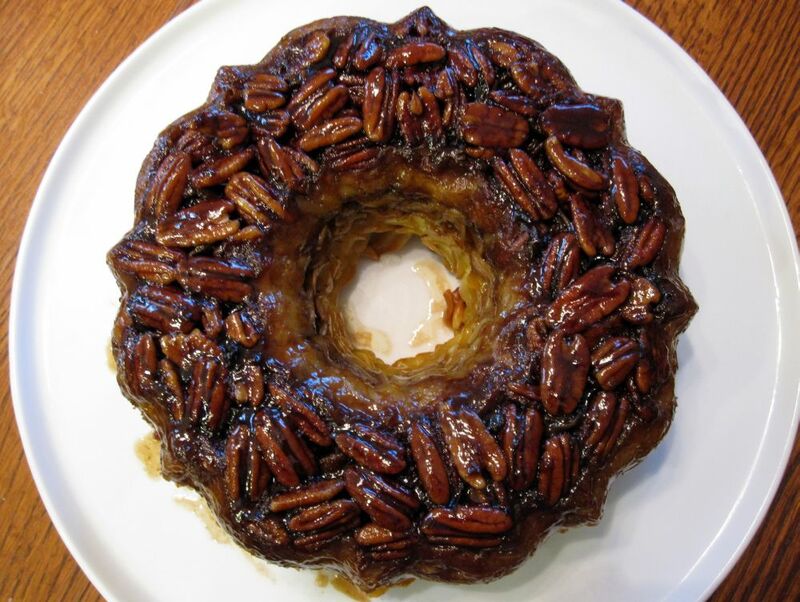 The recipe comes from Bertha Froomkin, who was my bubbe's best friend, and so close to my mom's family growing up that my mom called her "Aunt" Bertha. My mom's mom's (my bubbe's) first name was also Bertha. And in fact, both of their maiden names were Berman. So they were both Bertha Berman. And the story gets better. 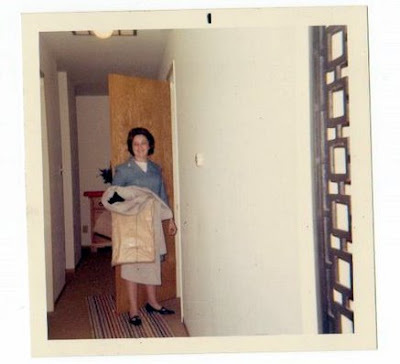 When Bertha Berman Froomkin went into labor in Youngstown, Ohio, to give birth to her son Michael, my own bubbe, Bertha Berman Aron went into labor in Youngstown, Ohio, with my mom Joyce ready to be born. Bertha and Bertha shared a hospital room and had their kids one day apart! I guess they were true BFFs, attached at the hip even during childbirth! 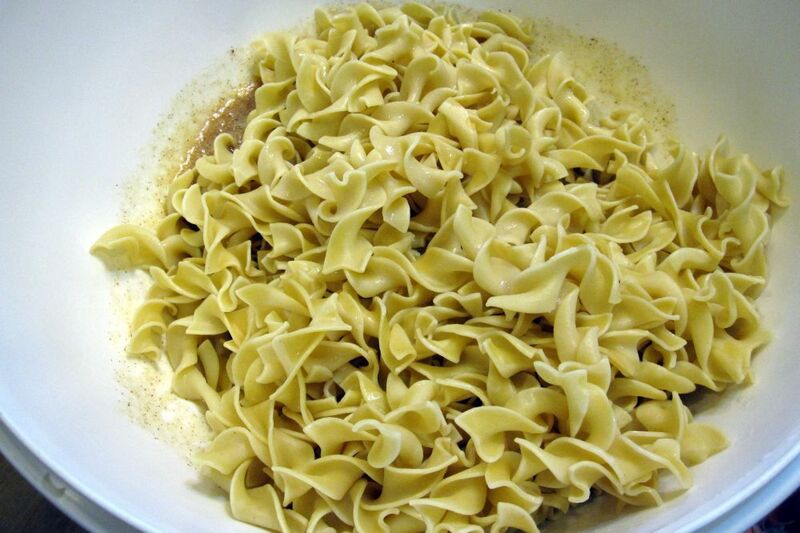 Combine cooked noodles with the rest of the ingredients. 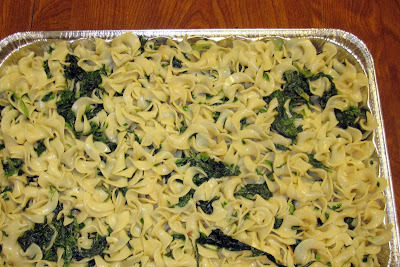 Spray or grease a 3-quart pan and place noodle mixture in it. Bake at 350 degrees F for about 45 minutes. Yum.